16 Amodu Ojikutu Street, V.I, Lagos. THE MEMBERS OF NIGERIA LIQUEFIED PETROLEUM GAS ASSOCIATION (NLPGA) AND THE GENERAL PUBLIC ARE BY THIS NOTICE HEREBY INFORMED THAT MR. JOSEPH EROMOSELE WHOSE PHOTOGRAPH APPEARS ABOVE HAS BEEN TERMINATED. HE IS NO LONGER A CONSULTANT AND THE EXECUTIVE SECRETARY OF THE ASSOCIATION. BY THIS NOTICE THE EXECUTIVE COMMITTEE AND GOVERNING COUNCIL OF THE NLPGA HEREBY DISSOCIATES ITSELF FROM MR. JOSEPH EROMOSELE. THE MEMBERS OF THE ASSOCIATION AND THE PUBLIC ARE HEREBY NOTIFIED NOT TO DEAL OR TRANSACT WITH THE SAID MR. JOSEPH EROMOSELE AS THE EXECUTIVE SECRETARY OF NIGERIA LIQUEFIED PETROLEUM GAS ASSOCIATION (NLPGA). 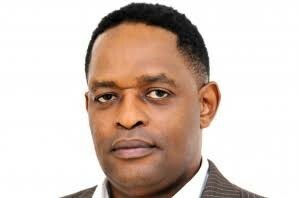 THE ASSOCIATION CONFIRMS THAT MR JOSEPH EROMOSELE NO LONGER ACTS FOR THE ASSOCIATION IN ANY CAPACITY WHATSOEVER. ANYONE WHO TRANSACTS OR DEALS WITH HIM DOES SO AT HIS/HER OWN RISK. WE CELEBRATE OUR BRAND AMBASSADOR ON HER BIRTHDAY!!! To promote and protect the LP Gas industry in Nigeria. To promote and encourage the highest standard of professionalism and sound ethics in the LP Gas sector. To empower all stakeholders through information, education and networking. To be the mouthpiece of LP Gas advocacy in Nigeria. To operate a transparent, open and accountable Association.